A pre-columbian precedent for the LA Aqueduct system has been discovered by a team of archeologists from the University of Cincinatti, at Tikal in the jungles of Guatemala (circa AD 250 to 800) that filtered the water and allowed the switching of sources feeding the city of 60,000 to 90,000 people. 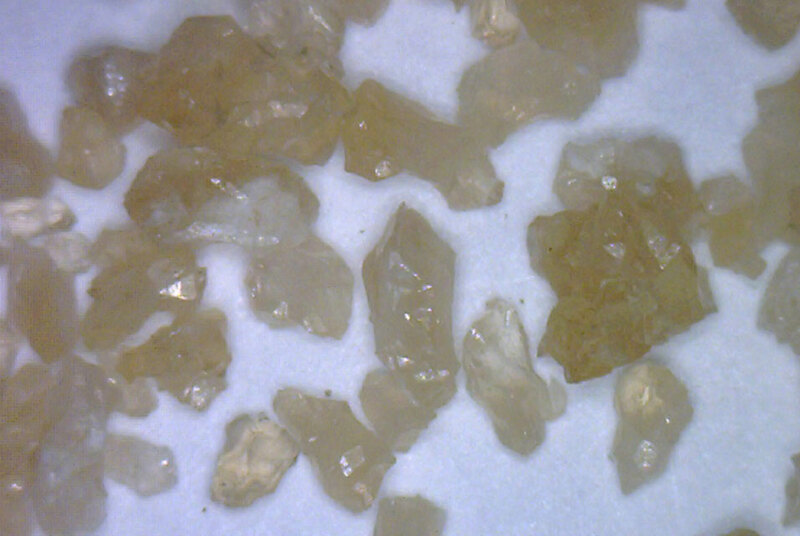 Caption: Sand-sized authigenic quartz crystals taken from sand lensing within Tikal’s Corriental Reservoir. It’s posited that the quartz sand served as a water filter. Photo: Courtesy University of Cincinnati.